Through many years of cooperation, associate professor in modern dance Monique Skavlan Sunderland and composer and musician Peter Lodwick, have developed a unique understanding of the symbioses of music and modern dance. 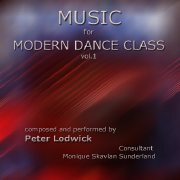 This, combined with the fact that specialised music for modern class is almost nonexistent, was the main reason for creating “Music for Modern Dance Class”. The CD contains 28 tracks with pure piano and orchestrated pieces of different genre. Not wishing to be confined to one technique, they have endeavoured to present a variety of styles, tempi and rhythms to inspire a wide range of teachers and dancers. Today’s commercial music has a limited spectre of tempi, dynamics and phrasing and they have tried to address these issues with the creation of “Music for Modern Dance Class”. Professor and head of BA in modern dance at the Oslo National Academy of the Arts, Norway. Monique received her education at Egon Wengs Ballet School and the Norwegian National Ballet School. Further studies at a number of international schools in Paris, London and New York amongst others. She has received many scholarships and grants. She has choreographed numerous ballets for the Oslo National Academy of the Arts, and created 3 syllabuses in modern dance. Since 1994 she has run her own ballet school. Monique is also a Bachelor of Law. The CD is supported by the National Academy of the Arts, Oslo.